A federal trial involving a local immigrant advocacy group and related to a lawsuit filed against the Trump administration begins today in Maryland. The lawsuit, filed by the Mexican American Legal Defense and Educational Fund, or MALDEF, on behalf of La Union del Pueblo Entero, or LUPE, and several others alleges Trump administration officials conspired to add a citizenship question to the 2020 Census, knowing it would likely dissuade people in states with large immigrant communities from not filling out the census and likely resulting in an undercount. MALDEF’s lawsuit, filed last May, is among several lawsuits that were filed against the administration over the addition of the citizenship question. U.S. Commerce Secretary Wilbur Ross, who oversees the U.S. Census Bureau, announced the question’s inclusion in the decennial questionnaire in late March, days before the questionnaire was to be finalized. This prompted a rebuke by multiple attorneys general and subsequent lawsuits challenging the administration’s authority to add the question. In short, MALDEF claims that Trump administration officials and others conspired to deprive immigrants of color of their constitutional rights to equal representation and to fair allocation of federal funds by adding a citizenship question to the census. Named in the suit as co-conspirators are Donald J. Trump, Ross, then White House advisor Stephen Bannon and then Kansas Secretary of State Kris Kobach, documents show. The trial’s commencement in Maryland comes a week after a federal court in New York sided with the plaintiffs in a similar lawsuit. U.S. District Judge Jesse M. Furman ruled Jan. 15 that the Trump administration’s attempt to add a citizenship question to the 2020 Census was “unlawful,” and ordered it removed from the census questionnaire. The DOJ and the administration are expected to appeal the New York decision. At the heart of the plaintiff’s allegations against administration officials is the idea that Ross added the citizenship question at the behest of others in the administration. Ross testified before Congress in late March that he added the citizenship question at DOJ’s request, but emails released as part of ongoing court challenges show that Ross was working to add the question before he received a letter from the DOJ in December 2017. The suit alleged that Ross also ordered the addition of a citizenship question without prior assessment of its impact on an accurate count and without adequate explanation of why the question was necessary and how the information would be used. “Although the government defendants allege that the question was added in response to a request by the U.S. Department of Justice in late 2017, trial evidence demonstrates that, in fact, the plan was devised in the White House in the early days of the Trump administration, and that the Department of Commerce initiated discussion with the Department of Justice to secure the request,” a MALDEF news release stated. In a phone interview last week with The Monitor, Juanita Valdez-Cox, executive director of LUPE, said she was going to be in attendance during the trial, and would most likely be called to testify. She said the ruling out of New York gives her hope for the proceedings this week. 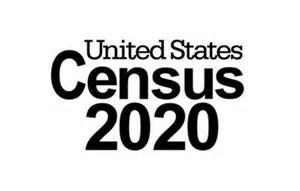 Counsel for MALDEF said an undercount of Latinos in the coming census would disproportionately impact immigrant communities throughout the country. “We are prepared to provide the court with documentary and testimonial evidence that supports our request for reversal of this discriminatory act that will otherwise financially, socially and politically impact our communities for the next decade and beyond,” Denise M. Hulett, national senior counsel for MALDEF, said in a prepared statement. The plaintiffs are requesting the court to stop Ross from implementing the question’s inclusion in the 2020 Census, court records show.